"Cinnamon cream syrup is excellent with pecan French toast!" Slightly sweet and super tender biscuits studded with raisins and cinnamon. FABULOUS! 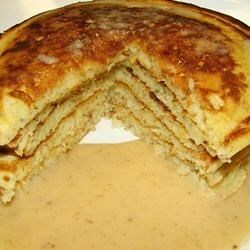 Similar to the syrup they serve with Sweet Potato Pancakes at the Pancake Pantry in Nashville, TN! Family Favorite!! Best ever, great with french toast!